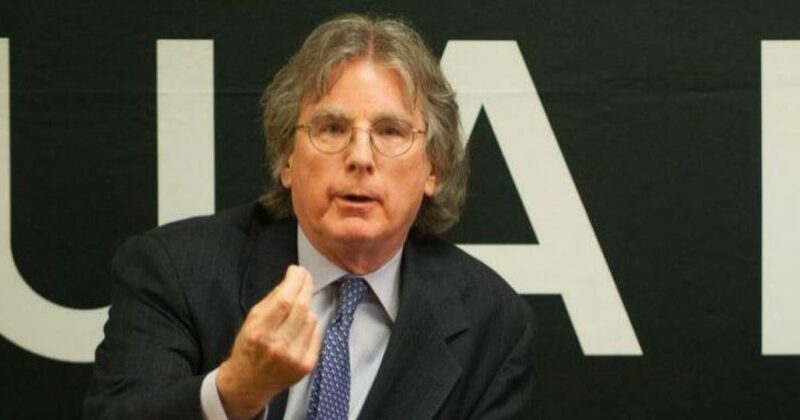 Roger McNamee was Mark Zuckerberg’s mentor during Facebook’s infancy, as well as a ground floor investor in the social media giant which has made him a billionaire. However, it is not all sunshine and lollipops between McNamee and Facebook. In particular, he has been very critical of CEO Mark Zuckerberg for forgetting where he came from and being blinded by power, fame, and fortune. McNamee is very proud of the product he helped develop but very saddened by its current management, or lack thereof. He now sees Facebook as a once noble and benevolent creature that has morphed into an out-of-control monster and lost the faith and trust of its users. Even if Facebook’s stellar Q1 earnings report hadn’t helped erase some of the losses that Facebook shares incurred in the aftermath of the Cambridge Analytica scandal, Facebook executives Mark Zuckerberg and Sheryl Sanderberg would still believe that the company’s troubles are largely behind them, reports Zero Hedge, and that the company had essentially repaired the damage done to its reputation. That was the assessment delivered by early Facebook investor and one-time Zuckerberg mentor Roger McNamee, who warned during an appearance at an event organized by Quartz in Washington DC last week that the company’s leaders are deeply complacent and still haven’t accepted the fact that Facebook has badly mislead its users about how the company profits off their data. Despite Zuckerberg’s warning, embedded in his opening statement to Congress earlier this month, that the company planned to make changes that could “significantly impact” profitability, McNamee believes it’s likely Facebook is “going to get away” with the bad things that it has done, which is “particularly dangerous” considering the 2018 midterm elections are only months away. McNamee said he’s deeply disappointed in how Zuckerberg and Sandberg have responded to the crisis by refusing to accept responsibility. During their post-crisis media tour, both executives insisted on blaming Cambridge Analytica for “misleading” Facebook, even though Facebook never bothered to alert users whose data had been affected. “They’ve done bupkis to protect us,” McNamee said. The whole affair has left McNamee – who considers his involvement with Facebook during its early days to be the “highlight of a long career” – deeply saddened. “Every part of this has made me sadder and sadder and sadder. I feel like my baby has turned out to be something horrible, and these people I trusted and helped along have forgotten where they came from,” he said in a conversation with Kevin Delaney, Quartz’s editor-in-chief. McNamee has become an outspoken critic of the company, comparing its role in the 2016 US election to “the plot of a sci-fi novel” while at the same time admitting that he has “profited enormously” by backing Facebook early on. The organization he helped found, the Center for Humane Technology, has made it a mission to expose Facebook’s multiple flaws, and to try to fix them. Like Palihapitiya, McNamee believes Facebook isn’t doing enough to mitigate the negative effects of social media addiction and misinformation spread on its platform. In other words, Facebook is sacrificing the well-being of its users in the name of uninterrupted growth. McNamee knows Zuckerberg well! The Facebook CEO is driven by his high-maintenance ego, the stroking of which is Goal #1 at Facebook, where individual page owners are only cattle to be herded and prodded by Zuckerberg and his minions. The users of Facebook are only an income source. He believes he owes them NOTHING, that without him their pathetic lives would be miserable. Of course, like Palihapitiya before him, McNamee’s criticisms would carry a lot more heft if they were followed by action – perhaps establishing some kind of organization meant to combat social media’s near-total influence over society. Still, McNamee is hardly alone: A recent survey revealed that nearly one-third of Americans believe Facebook has a negative impact on society. And with early indicators showing user engagement numbers starting to slip in the aftermath of the company’s user-data scandal, perhaps we’ll need to wait until the company’s next batch of quarterly results to see how its users are responding to the latest user-data crisis. Meanwhile, Facebook’s campaign to win back the trust of its vast user base is manifesting in an advertising blitz that has already arrived in the corridors of New York City’s subway system. Of course, “fake news” in Facebook code is anything Zuckerberg doesn’t like, especially conservative commentary.